Another one of this year’s Wizard World debut shows, Wizard World Comic Con Raleigh, launches next week, March 13-15. 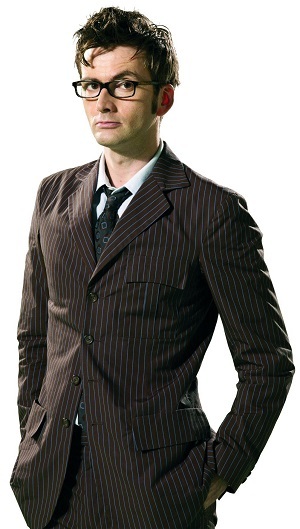 And they’ve got quite the headliner: David Tennant, the tenth Doctor Who, will be making his first Wizard World appearance. However, there is one huge catch: although he’s scheduled for two Q&A panels, you have to pay extra to attend them. Only purchasers of the “David Tennant VIP ticket package” can get in, and those tickets are over $400 (including fees). You also get one signature and one photo op with him as part of the package. This is a convention trend that’s not surprising, but still disheartening. And excessive — one-day tickets to Walt Disney World are only $100 or so. I’ve often compared the two experiences, since they’re both about waiting in lines in order to gawk at unusual sights. Wizard may be charging what the traffic will bear, and it’s hard to understand the economics without knowing how much the stars are asking in guaranteed fees. I suppose it’s an effective way to control crowds, too. Other big names appearing in Raleigh include the expected William Shatner, Ian Somerhalder, and some people from The Walking Dead. Lou Ferrigno unfortunately had to cancel. I think I commented on an earlier post about this and how insane the cost of this is, so I won’t repeat that. But it occurs to me now that part of why I find unsettling about this is the certainty that at least some of the people who’ll pony up $400 won’t REALLY have it to spare – they’ll put it on plastic or not pay the electric bill this month or otherwise stretch themselves. And obviously nobody’s putting a gun to anyone’s head to tell them to spend a ton of money to see the star of a show they love. But it leaves a bad taste in my mouth. Sadly, previous comments went away with the previous site. But yes, it’s unfortunate that it costs so much; however, you can’t tell people how to spend their money.